By this useful Article I guide you that how to Install Latest Xtreme Download Manager. It is called XDM, XDMAN is a Free, open-source, Superfast, advanced and powerful download manager & video grabber which is increase download speed up-to 500% and above. It uses sophisticated dynamic segmentation algorithm, data compression and connection reuse to speed up the download process. This tutorial is most beneficial like other tutorials. Xtreme Download Manager (XDMAN) is a java based download manager and it supports pause and resume for downloads. XDMAN download manager incorporate with any internet browser. The latest version XDMAN is available. 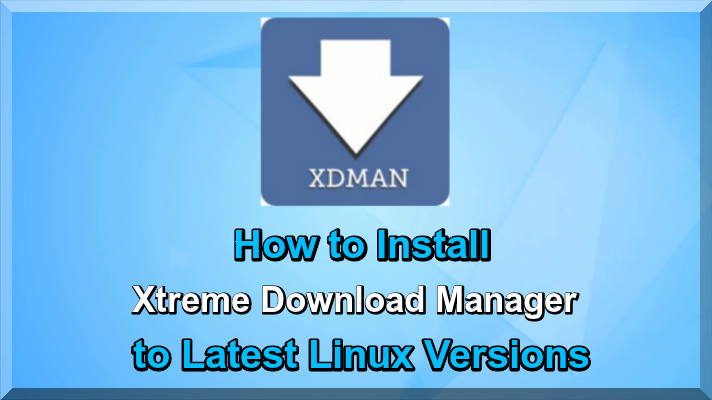 Now I guide you that how to install Xtreme latest Download Manager XDMAN on Latest Linux versions such as Ubuntu, Linux Mint and other linux distros. XDMan is available via PPA, because Xtreme Download Manager and you you can update it VIA PPA. XDMAN is alternative of Internet Download Manager it has automatically options of downloading. Now I guide you that Install latest version of Xtreme Download Manager from NoobsLab PPA repository to use the following commands in terminal. In view of the above you can download latest version of Xtreme Download Manager from sourceforge Website. This tutorial is very useful like other Linux tutorials, install latest XDM and enjoy.